A definitive account of a remarkable chapter in Australia's history. In the early days of April 1941, the 14,000 Australian forces garrisoned in the Libyan town of Tobruk were told to expect reinforcement and supplies within 8 weeks ... Eight months later these heroic, gallant, determined 'Rats of Tobruk' were rescued by the British Navy having held the fort against the might of Rommel's never before defeated Afrika Corps. Like Gallipoli and Kokoda, the siege of Tobruk is an iconic battle in Australia's military history. Under ceaseless attack from Rommel's men, the Australian defence held strong. 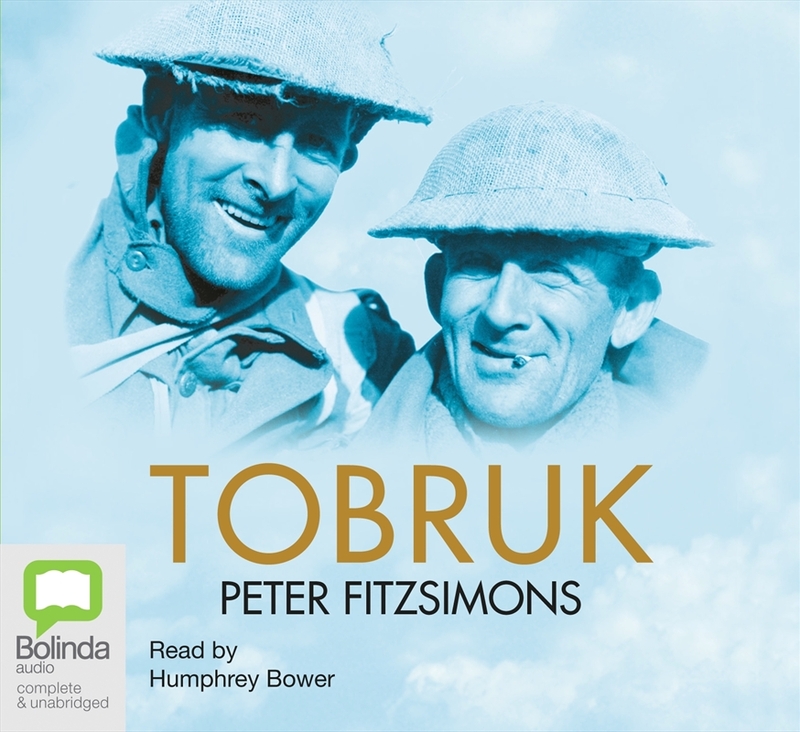 In Tobruk, Peter FitzSimons relates the personal histories and stories not only of the men who defended the garrison against the German onslaught but of the Desert Fox, Erwin Rommel, and the powers back in both Berlin and Britain. "A thorough, highly readable, distillation of the overlooked Battle of Tobruk." - The Age. "FitzSimons presents the human face of those involved in the long, drawn out defence of Tobruk. An interesting and informative read." - aussiereviews.com. "Gripping stuff" - Sydney Morning Herald. "Tobruk comes to life in true FitzSimons style, evoking feelings and emotions of that time as well as the facts." - Brisbane News.